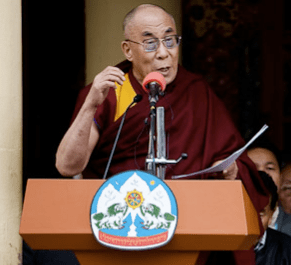 A Statement from the Dalai Lama on the anniversary of the Tibet Uprising. Today marks the 51st anniversary of the Tibetan people’s peaceful uprising in 1959 against Communist China’s repression in Tibet, as well as the second anniversary of the peaceful protests that erupted across Tibet in March 2008. On this occasion, I pay homage to those heroic Tibetan men and women, who sacrificed their lives for the cause of Tibet, and pray for an early end to the sufferings of those still oppressed in Tibet. Despite the great hardships they have faced for many decades, Tibetans have been able to keep up their courage and determination, preserve their compassionate culture and maintain their unique identity. It is inspiring that today a new generation of Tibetans continues to keep Tibet’s just cause alive. 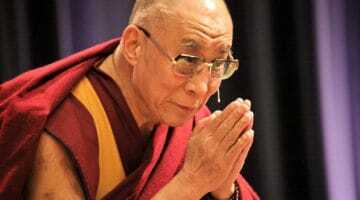 I salute the courage of those Tibetans still enduring fear and oppression. Whatever circumstances we find ourselves in, it is the responsibility of all Tibetans to maintain equality, harmony and unity among the various nationalities, while continuing to protect our unique identity and culture. Many Tibetans in Tibetan areas are working in various responsible posts in the party, government and military, helping Tibetans in whatever way they can. We recognise the positive contribution that many of them have made up to now, and obviously when Tibet achieves meaningful autonomy in the future, they will have to continue to fulfil such responsibilities. Let me reiterate that once the issue of Tibet is resolved, I will not take any political position nor will members of the Tibetan Administration in exile hold any positions in the government in Tibet. I have repeatedly made this clear in the past. To understand the situation of the Tibetans in exile and their aspirations, I invite Tibetan officials serving in various Tibetan autonomous areas to visit Tibetan communities living in the free world, either officially or in a private capacity, to observe the situation for themselves. Wherever Tibetans in exile have settled, we have been able to preserve and promote our distinct cultural and spiritual traditions, while generating awareness of the Tibetan cause. 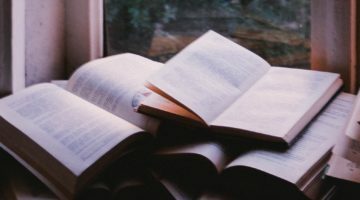 Unlike other refugees, we have been relatively successful because we have also been able to give our children a sound modern education, while bringing them up according to our traditional values. And because the heads of all four major schools of Tibetan Buddhism and the Bon religion are in exile we have been able to re-establish various institutions for religious training and practice. In these institutions over ten thousand monks and nuns are free to pursue their vocations. We have been readily able to provide educational opportunities for those monks, nuns and students who have continued to come from Tibet. At the same time the unprecedented spread of Tibetan Buddhism in both East and West and the prospect of continuing to flourish in the future gives us hope that it may yet survive. This is some solace to us during this most critical period in Tibet’s history. Today, the Chinese authorities are conducting various political campaigns, including a campaign of patriotic re-education, in many monasteries in Tibet. They are putting the monks and nuns in prison-like conditions, depriving them the opportunity to study and practise in peace. These conditions make the monasteries function more like museums and are intended to deliberately annihilate Buddhism. 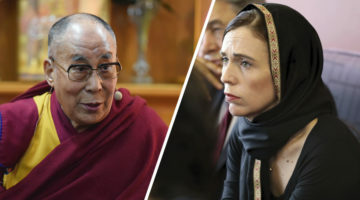 Tibetan culture based on Buddhist values of compassion and non-violence benefits not only Tibetans, but also people in the world at large, including the Chinese. Therefore, we Tibetans should not place our hopes in material progress alone, which is why it is essential that all Tibetans, both inside and outside Tibet, should broaden their modern education hand in hand with our traditional values. Above all, as many young Tibetans as possible should strive to become experts and skilled professionals. It is important that Tibetans maintain friendly relations not only with people of all nationalities, but also amongst themselves. Tibetans should not engage in petty disputes with each other. I earnestly appeal to them instead to resolve any differences with patience and understanding. Whether the Chinese Government acknowledges it or not, there is a serious problem in Tibet. As the world knows, this is evidenced by the fact that there is a huge military presence and restriction on travel in Tibet. It is good for neither party. We have to take every opportunity to solve it. For more than 30 years, I have tried my best to enter into talks with the People’s Republic of China to resolve the issue of Tibet through the Middle-Way Approach that is of benefit to us both. Although I have clearly articulated Tibetan aspirations, which are in accordance with the constitution of the People’s Republic of China and the laws on national regional autonomy, we have not obtained any concrete result. Judging by the attitude of the present Chinese leadership, there is little hope that a result will be achieved soon. Nevertheless, our stand to continue with the dialogue remains unchanged. It is a matter of pride and satisfaction that our mutually beneficial Middle-Way Approach and the justice of the Tibetan struggle have gained growing understanding and support year by year from many political and spiritual leaders, including the President of the United States of America, reputed non-governmental organisations, the international community, and in particular from Chinese intellectuals. It is evident that the Tibetan issue is not a dispute between the Chinese and Tibetan peoples, but has come about because of the ultra-leftist policies of the Chinese Communist authorities. Since the demonstrations in Tibet in 2008, Chinese intellectuals inside and outside China have written more than 800 unbiased articles on the Tibetan issue. During my visits abroad, wherever I go, when I meet Chinese in general, particularly the intellectuals and students, they offer their genuine sympathy and support. Since the Sino-Tibetan problem ultimately has to be resolved by the two peoples themselves, I try to reach out to the Chinese people whenever I can to create a mutual understanding between us. Therefore, it is important for Tibetans everywhere to build closer relations with the Chinese people and try to make them aware of the truth of the Tibetan cause and the present situation in Tibet. Let us also remember the people of East Turkestan who have experienced great difficulties and increased oppression and the Chinese intellectuals campaigning for greater freedom who have received severe sentences. I would like to express my solidarity and stand firmly with them. It is also essential that the 1.3 billion Chinese people have free access to information about their own country and elsewhere, as well as freedom of expression and the rule of law. If there were greater transparency inside China, there would be greater trust, which would be the proper basis for promoting harmony, stability and progress. This is why everyone concerned must exert their efforts in this direction. As a free spokesperson of the Tibetan people I have repeatedly spelled out their fundamental aspirations to the leaders of the People’s Republic of China. Their lack of a positive response is disappointing. Although the present authorities may cling to their hard-line stand, judging by the political changes taking place on the international stage as well as changes in the perspective of the Chinese people, there will be a time when truth will prevail. Therefore, it is important that everyone be patient and not give up. We acknowledge the Central Government’s new decision taken at the Fifth Tibet Work Forum to implement their policies uniformly in all Tibetan areas to ensure future progress and development, which Premier Wen Jiabao also reiterated at the recent annual session of the National People’s Congress. This accords with our repeatedly expressed wish for a single administration for all those Tibetan areas. Similarly, we appreciate the development work that has taken place in Tibetan areas, particularly in the nomadic and farming regions. However, we must be vigilant that such progress does not damage our precious culture and language and the natural environment of the Tibetan plateau, which is linked to the well-being of the whole of Asia. 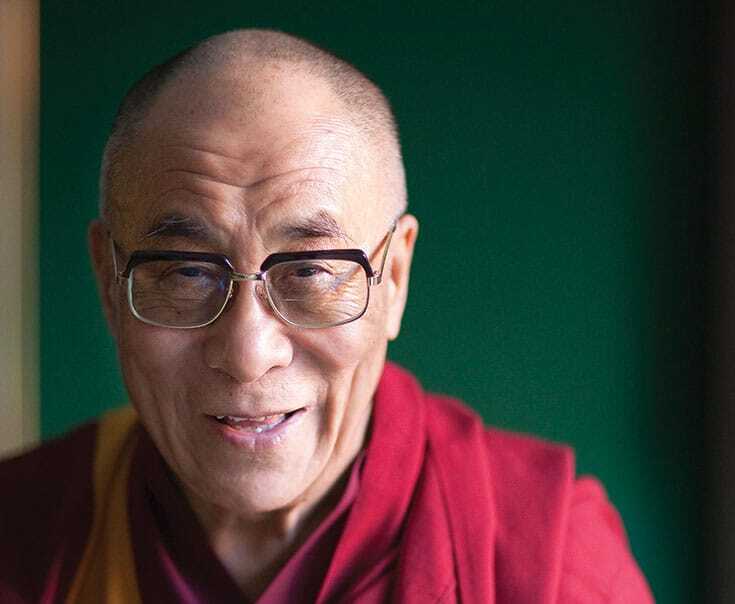 On this occasion, I wish to take the opportunity to offer my sincere thanks to the leaders of various nations, their intellectuals, the general public, Tibet Support Groups and others who cherish truth and justice for continuing to support the Tibetan cause despite the Chinese government’s pressure and harassment. Above all I wish to pay my heartfelt gratitude to the Government of India, the various State Governments, and the people of India for their continued generous support. Finally, I offer prayers for the happiness and well-being of all sentient beings.